The Automobile Club of Southern California was founded in 1900 as one of the nation’s first motor clubs dedicated to improving roads, proposing traffic laws and making driving a more pleasant experience for everyone. Today, it offers an expanded range of beneficial services such as auto and home insurance, car buying assistance and travel planning, along with merchant discounts on a wide variety of products. 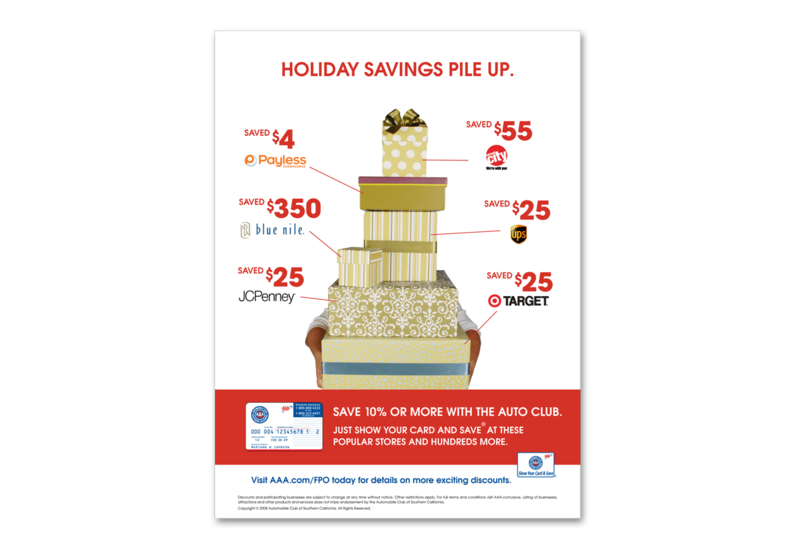 The Automobile Club of Southern California sought to show the benefits members enjoyed, including savings from their diverse range of affiliated merchant partners. They wanted to launch a print ad campaign at the start of the holiday shopping season to show the many opportunities for discounts on numerous products and services from vendors in dozens of industries. 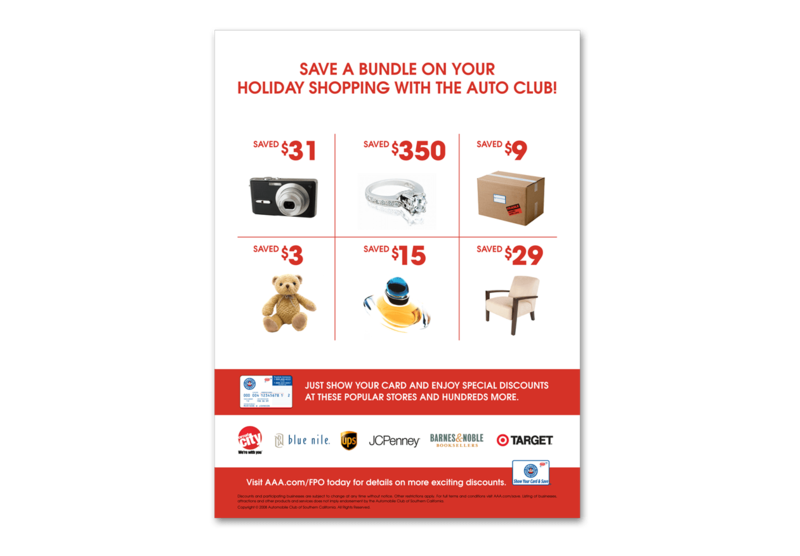 I worked with The Automobile Club of Southern California to create print ads with a simple design and message of savings discounts for auto club members. They showcased real items such as jewelry, electronics, home goods, toys and apparel, along with the real savings members would enjoy. The ads also featured a group of preferred partners with the estimated savings on everyday items. I developed the concepts, designs, photography and copywriting for their holiday print ad campaign. The Automobile Club of Southern California was really thrilled with the results.